Now that you know how to keep the gleam in your jewels, scroll down to see 21 stylish pieces to add into your collection. Get ready to shop! The organic shape of this charm is so cool. Because who wouldn't want to wear art on their ears? Chain jewelry is everywhere right now. You can never go wrong with diamond hoop earrings. Layered this textured bracelet on with your other favorites. 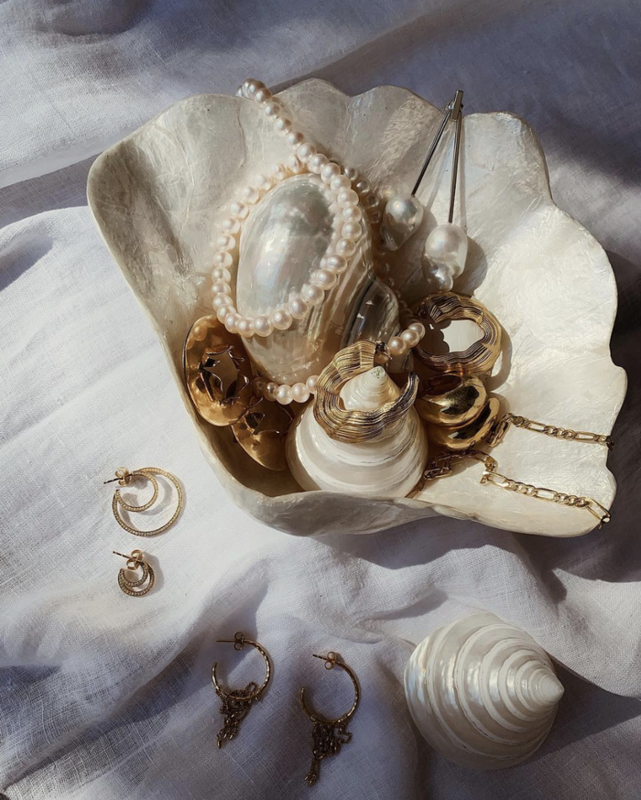 These earrings take the shell trend to the next level. We love the classic shape of a heart. You'll get so many compliments on these floating pearl earrings. Wear this minimal necklace every day. This minimal ring will go with everything you own. Every fashion lover should have these chic earrings. The Egyptian hieroglyphics make this so different from your other necklaces. For the woman who loves identifying with her zodiac sign. You'll love how these sit on your ears. This one is really intriguing. Talk about an eye-catching statement ring. Heart-shaped earrings are so playful. The Mother of Pearl inlay makes this so elegant. A modern take on a charm bracelet. Seriously though, you'll never want to take this off. Add a vintage touch to your jewelry look with this orb pendant necklace. Add this wavy piece to your ring collection for a cool and unexpected twist. Up next, tips from an expert on how to choose the perfect wedding band.